The eLearning market is growing at a fast pace. There are many training software solutions available in the market. If you need to create completely customized training courses for your employees or students, you should choose one of these training tools for teachers. Since selecting the right one is a daunting task because there are many options and features to go through, we have decided to help you. Here are the top 8 training tools that deserve the attention of every 21st-century teacher. Absorb’s training tool is very robust, with a lot of options and features. They have successfully managed to make it very user-friendly. If you want to easily create a training course and you are a medium or large business organization, Absorb is the right solution for you. This platform allows you to schedule and automates your work. It also has an extensive features list which includes: responsive web design, contextual interface, smart tag-based filtering, e-commerce integration and gamification. Absorb also has mobile apps for Android and iOS platforms. The Mercury Module billboard is a very useful feature that you can use to advertise your courses for the upcoming event. Moodle is an open source and free learning management system. If you don’t have any previous experience with training tools, this software might prove hard to use since its user interface lacks the visual finesse. It shines when language support comes into question. There are various features that you can use to make the learning experience even better. These include - real-time messaging, wiki forums, peer assessment workshops, etc. The customization of courses is achieved by choosing modular plugins. Since it is open-source, it has a large community surrounding it. In fact, you will be able to get a lot of help on the official Moodle forum. The ProProf online training maker is a popular option for being flexible, scalable and easy to use. It is designed for people of all skill levels and it doesn’t require any technical knowledge. This is a very powerful online course creation system that will allow you to manage both courses and learners easily. It is suitable for the creation of training programs, courses, online assessments and much more. The built-in features that allow you to upload existing course materials are really handy and can significantly reduce the course creation time. This training maker tool also has powerful analytic and report tools that can help you analyze and improve courses. The Schoology training platform is suitable for creating courses compatible with both K-12 and higher educational needs. While it is free for individuals, Schoology is a paid training solution r for organizations. It has a series of powerful features: custom branding, granular role creation, assessment tools, analytics, gamification and much more. It also offers parental accounts and mobile apps for its users. The user interface is user-centric. The feed looks a lot like Facebook feed. This means that students, parents, teachers and administrators all have different user interfaces. This LMS is very simple for students to use, while at the same time, it provides sophisticated functionalities for teachers and administrators. Captivate Prime is also one of the top training tools and it comes from the renowned Adobe company. Creating and gaining control of courses and their setup is very easy thanks to the very intuitive user interface that came as a result of the rich Adobe’s experience. This training tool has amazing features that take eLearning to another level. The built-in Fluidic player will allow you to share videos, PDFs, SCORM and xAPI compliant packages, PPTs, and DOCXs with your students. All of the content of your courses can be downloaded and learned offline. When the student comes online, all the completed task and student performance get automatically synced with Adobe’s platform. Docebo is a very popular LMS. Their philosophy concepts, Share, Coach, and Learn are deeply embedded in the features of their training tool. Docebo emphasizes the importance of gamification in their course creation. You will have access to features that will allow you give badges and awards and display the rankings of your students. With Docebo, you can create a path for your learners. Docebo LMS supports the combination of multiple courses and learning objects so that you can conveniently create a learning plan with prerequisites. Automatic updating will help you with course updating. When you change one object, it will change in all courses where it is found in. Talent LMS is one of those tools that have a really smooth onboarding process. It’s intuitive and user-friendly UI provides smooth onboarding. Talent training tools are mobile friendly, which makes them accessible from a wide range of mobile devices. This is really important and it can help you remove some the learning barriers. This platform also supports the customization of courses, but unlike others, with Talent LMS, you can also get a custom domain. This LMS is powered by SCORM and Tin Can API software specifications which enable blended learning, inspire collaboration and communication. Desire2Learn Brightspace has been present in the market since 1999 and is considered one of the most comprehensive LMS platforms online. Mainly because of good predictive modeling, automation, and impressive analytics. Recently, the company has updated the user interface. The new minimalistic design really adds up to the ease of use. D2L has support for Gmail and Microsoft Office 365, which enables communication between instructors and students outside the platform. On top of that, instructors are able to send messages directly to students from the assignment screen, which really improves communication. 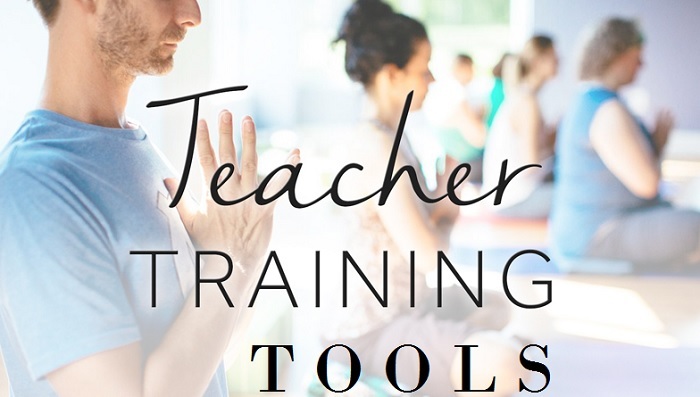 These are some of the most popular training tools for teachers the market has to offer. In order to pick the right one, you will have to previously determine your business goals and the needs of your future learners. Then, you can proceed to choose the training tool that could meet these requirements with built-in features. Also, make sure to skim through the plans and pricings for each of the paid tools in order to pick the one that will not strain your budget.